For those that wish to experience the highlights of southern Africa with the convenience of flying in and out of Johannesburg. This tour will show you the best of several countries, and endeavours to reveal the contrasts that make up this region. 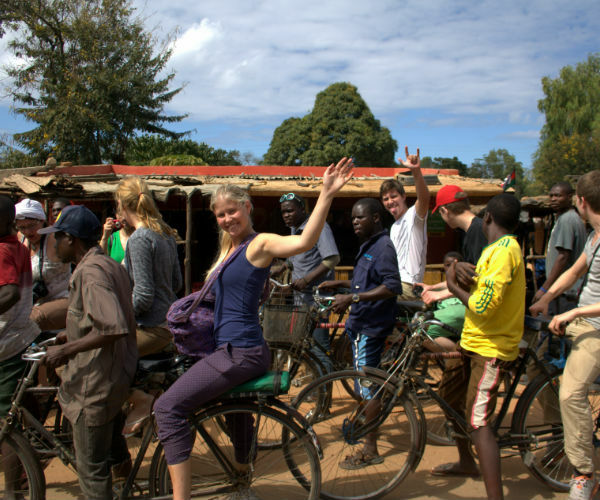 From the desert landscapes of Botswana to the lush forests of Zambia, the tea plantations of Malawi to the deserted beaches of Mozambique, you will experience built up cities and rural homesteads, good highways and dirt tracks. 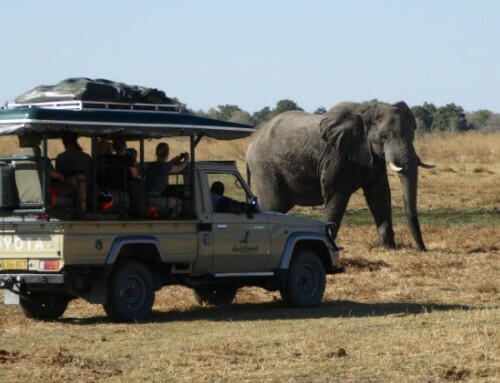 This tour also concentrates on some of the finest Game Reserves in Africa, including Chobe, Luangwa and Kruger where you will see a huge variety of animals all in their natural environment. An open and flexible approach is essential for this tour. For those that wish to experience the highlights of southern Africa with the convenience of flying in and out of Johannesburg. This tour will show you the best of several countries, and endeavours to reveal the contrasts that make up this region. We start our 24 day adventure and depart from the GREENFIRE LODGE JOHANNESBURG at 06h30. We head directly to the Botswana border and enjoy the scenic beauty of the changing landscape as we drive. On completion of immigration formalities we continue our drive into Botswana and make our way to Francistown and our camp for the night. We will cover some distance today. Tonight we familiarise ourselves with the tour procedures over a catered meal. Camp the night. This morning we travel through the Chobe forest reserves up to the mighty Chobe River and adjoining National Park where huge herds of Elephant gather at the water. This afternoon we enjoy an extensive boat cruise within Chobe National Park. Gliding close to the banks we hope to approach the animals from the river for close up viewing. Our cruise will explore the Chobe River front and a section of the Namibian side of the Chobe River. 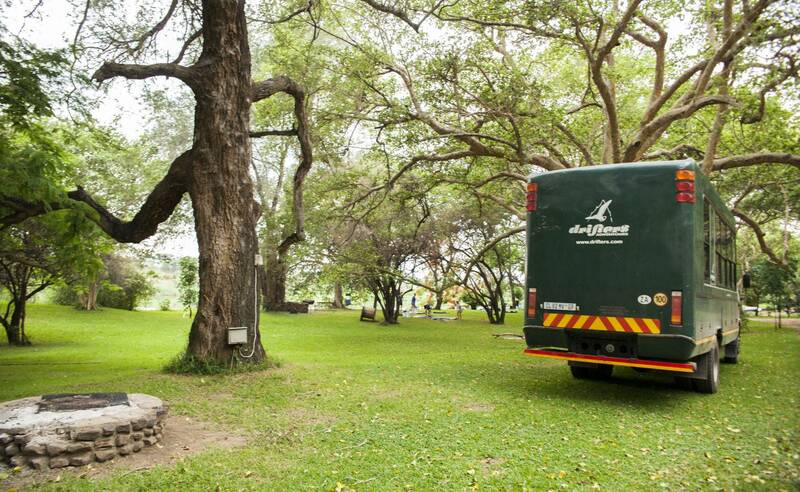 Back on land, we cross the border into Zimbabwe and make our way to the GREENFIRE LODGE VICTORIA FALLS. The lodge is centrally situated and within walking distance of the falls and all other attractions. During our stay here we will view the spectacular Falls and the other highlights of this “Africa’s Adventure Capital”. Those seeking adrenaline may wish to try the Bungi jump, White Water Rafting or a variety of aircraft flips (own expense). One night we enjoy a “braai” at the pool. On the last night we eat at a local restaurant (own expense). On occasion we cross into Zambia and camp on the banks of the Zambezi. Crossing the original railway bridge, we have a last view of The Falls before entering Zambia. Our journey today takes us through southern Zambia and then down into the Lower Zambezi Valley to Kafue. We camp the night on the banks of the river and prepare for our canoe adventure the following days. We enjoy a catered meal in camp and fall asleep to the sound of the river. 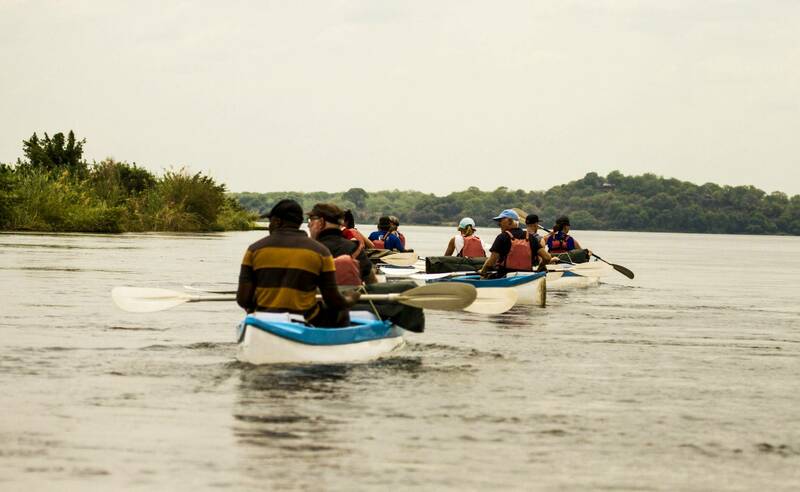 The Zambezi River needs little introduction, a mighty river winding its way through some of the best wilderness areas in Africa. The river provides for what can only be described as the finest canoe adventure in the world. What better way to see big game at close quarters than from a canoe. We will spend two nights camping wild on the banks of the river. On the third day we are transferred by boat back to Kafue for a welcome shower and a catered meal (own expense). Reunited with our vehicle we travel to the capital of Lusaka where we spend some time to stock up on supplies and then travel along the “Great East Road” to our next overnight camp. We slowly make our way north and will cover as much distance as possible today. 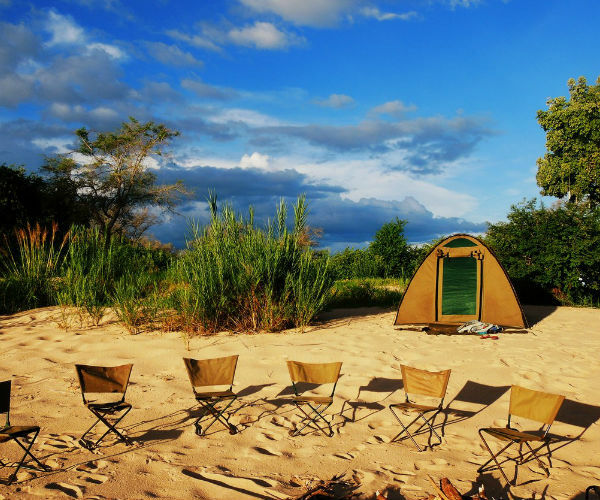 Our next stop is the Luangwa National Park, where we spend two nights camping on the banks of the River, well known for its impressive Hippo population. 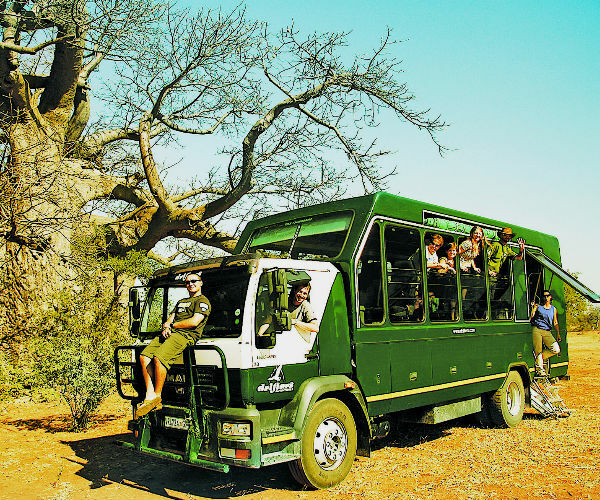 During our stay here we will partake in an extensive game drive in the park in search of the elusive Leopard and other species that make this park one of Africa’s best. Guests have the opportunity to do an optional night drive (own expense). We depart from Luangwa and drive to the border. After crossing into Malawi, our first stop is the capital, Lilongwe. After stocking up with groceries and curios, we continue to Lake Malawi, an impressive inland freshwater sea. The snorkelling is a highlight, as are the sandy beaches and friendly locals. We spend two nights here, camping literally on the beach. One night we enjoy an own expense meal. Turning south, we head for Mount Mulanje, an impressive mountain of granite rising some 600m above the surrounding forest and lush tea plantations. 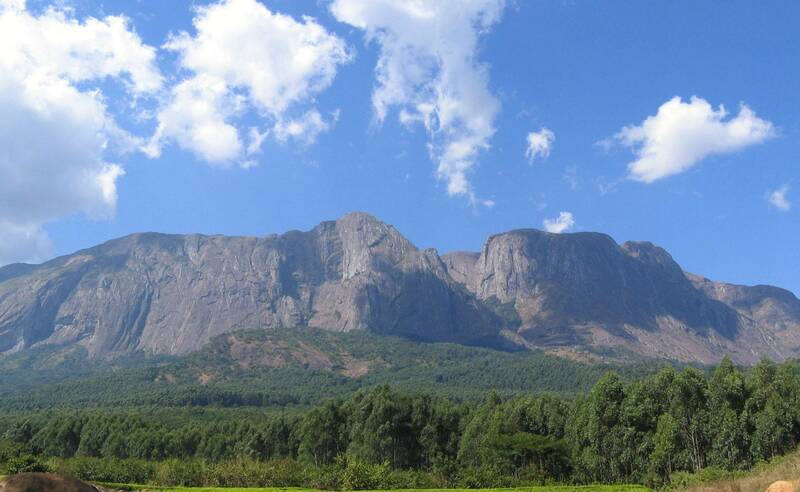 The surrounding forest is home to the Mulanje Cedar, the national tree of Malawi. 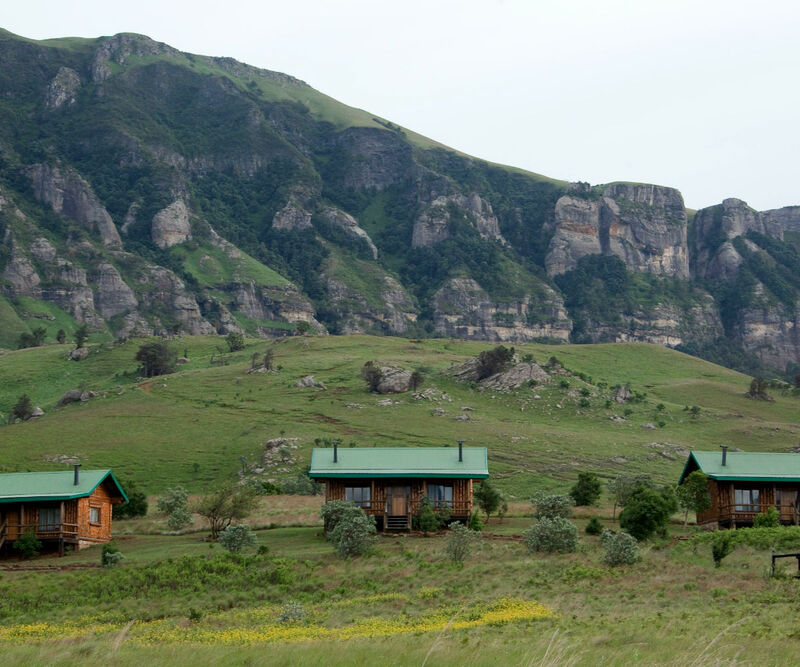 We spend two nights camping in the area, and will enjoy a hike to the plateau from where the views are exceptional. Traveling via Blantyre, today we enter Mozambique. Our journey takes us through the Tete corridor, across the Zambezi River and alongside the mountains that form the border with Zimbabwe. We camp tonight in the region of Chimoio and will enjoy an own expense dinner at a local restaurant. Leaving the wilderness behind us, today we pass through the many vibrant and bustling villages en-route to the coast. Our next stop is Vilanculos – on the shores of the warm azure Indian Ocean, overlooking the idyllic Bazaruto Archipelago. We spend the night here in accommodation situated at the Beach. Tonight we enjoy a meal at a local restaurant (own expense). Moving south along the coast, we make our way to Maxixe from where we enjoy a trip with the locals across the bay on a traditional Dhow while the guide drives around to meet us in the ancient trading port of Inhambane. We spend some time exploring and visiting the bustling local market before continuing to our camp on the beach. 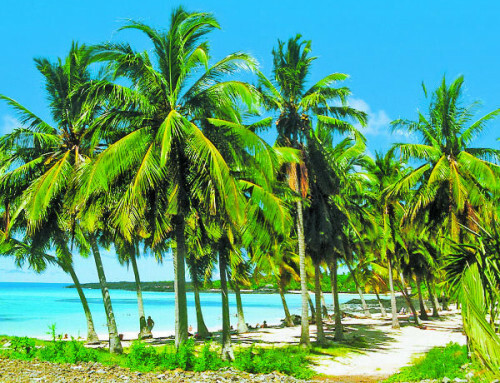 We will enjoy three nights in relative comfort, staying in Casitas at this camp near Barra. During our time here we will relax, snorkel, and soak up the sun whilst exploring the deserted beaches that Mozambique is so well known for. Those who wish to have the option of scuba diving. (own expense). Maputo boasts an interesting, almost Latino culture of street cafes and markets, and we will spend time this morning driving through and viewing these and the other attractions of this once grandiose city. This afternoon we cross back into South Africa and make our way to the Kruger National Park to camp the night. 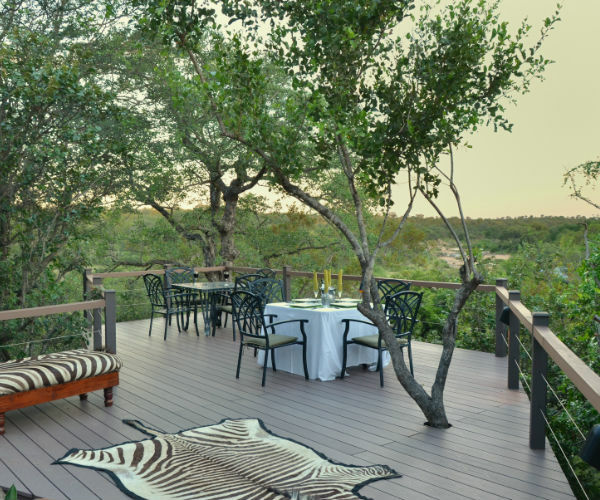 No visit to Africa would be complete without Kruger. 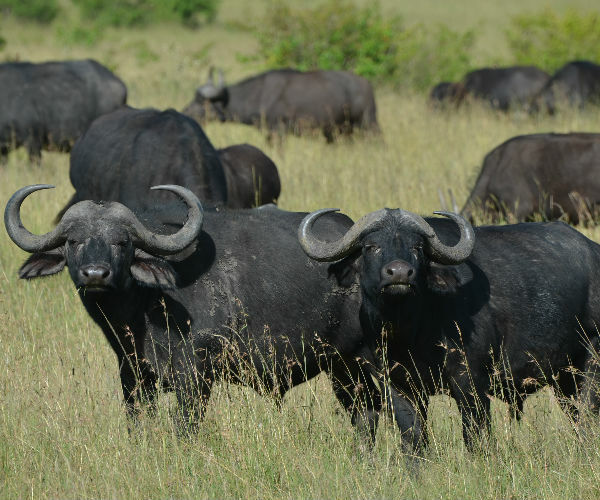 We spend the entire day viewing animals in this premier National Park. 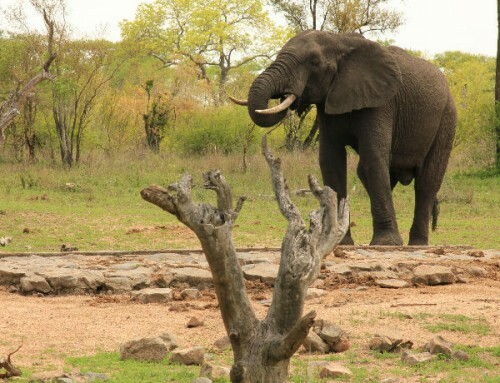 Our guide will take time to explain the behaviour of the animals we encounter during the day. 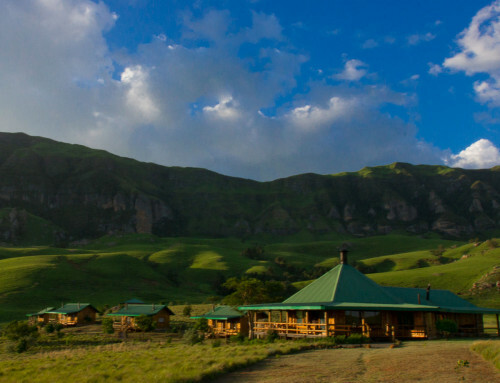 In the late afternoon we exit the park and travel the short distance to the GREENFIRE LODGE HAZYVIEW where we spend the last night celebrating our tour. A leisurely start today, we make our way back to Johannesburg. We arrive back at the GREENFIRE LODGE JOHANNESBURG in the late afternoon. Please ensure that you are in possession of valid travel documents for all the countries, (Zimbabwe, Botswana, Zambia, Malawi, Mozambique and South Africa) that you will visit. PLEASE NOTE THAT FOR SOME OF THESE COUNTRIES, CERTAIN NATIONALITIES NEED TO APPLY AND OBTAIN THESE VISAS PRIOR TO YOUR TOUR DEPARTURE AS SOME NATIONALITIES CAN NOT GET VISAS AT THE PORT OF ENTRY. PLEASE CONSULT YOUR TRAVEL AGENT WITH REGARDS TO VISAS THAT YOU NEED AND WHETHER OR NOT YOU SHOULD GET IT BEFORE YOU DEPART ON TOUR OR NOT. If you have any queries in this regard, please do not hesitate to contact us. Although we will endeavour to assist, we do not accept any liability or obligation for your travel documents. Please ensure that you have proof of further travel arrangements if you do not have a South African passport, permanent residency permit, work permit or study permit. Please ensure that your passport is valid for at least 6 months after the end of your tour. Visas are not readily obtainable at Mozambique and Malawi border posts. Both these visas need to be obtained BEFORE departing on tour. It is your responsibility to make sure you have all the required visas. Should clients require a visa for Malawi and Mozambique this has to be obtained prior to arrival, we are experiencing difficulty in obtaining these at the border posts. Clients should always ask for a few extra days in each country when visas are concerned to make provision for possible delays. The Ministry of Nationality, Immigration and Gender Affairs informs the general public that it has imposed requirements for minors (children under 18) travelling through the country’s ports of entry. Effective from the 1st October 2016 minors travelling through the country’s borders will be required to produce certified copies of unabridged birth certificates in addition to their valid passports. In the event that one parent is not travelling with the child, the other parent’s affidavit consenting to such travel should be availed. However, an affidavit will not be required if the father’s name does not appear on the child’s birth certificate. The development, which is aimed at managing the movement of children across the country’s borders, has an ultimate goal of tackling human trafficking which is a global challenge. Botswana, like other countries is affected by this problem and as such has enacted the United Nations Anti-Human Trafficking Protocol; which calls upon governments to come up with deliberate measures aimed at combating human trafficking. Credit cards are not favoured in most parts of Southern Africa so please ensure you have enough cash to buy good and possible gratuities. The only necessary prophylaxis for Southern Africa is against Malaria (Zimbabwe, Zambia, Malawi and Mozambique). Adequate chemo-prophylaxis are essential. Prevention is better than cure, so we do advise to also use insect repellent on exposed areas after sunset. Please consult with your general practitioner regarding this. Please note that you need a Yellow Fever Certificate dated at least 10 days prior to your tour departure and depending on nationality and prior travels. Please note that Southern African weather conditions vary tremendously from season to season. During summer months temperatures of up to 40°C can be experienced. During the winter months of June, July and August the nights are very cold, temperatures may drop well below 0°C – although the day temperatures will be pleasant at around 20°C. Please take weather conditions into consideration when choosing a sleeping bag for your tour. Each Drifters Traveller has their own locker on our trucks which is accessible even while driving. Backpacks, Barrelbags or Soft Suitcases are strongly advisable as your standard Hard Suitcases sometimes don’t fit into the lockers. Each locker could be locked with your personal lock (which you can also purchase from the Greenfire Johannesburg Inn upon arrival. Meals are provided as indicated in the brochure/website. We do however stop en-route; therefore it is always possible to buy something along the way. Soft drinks, bottled water and alcohol are for your own expense; there is ample opportunity during the tour to buy refreshments. The guide will advise when you need to stock up for a couple of days. PRE and POST night accommodation can be arranged at the Greenfire Lodge Johannesburg. 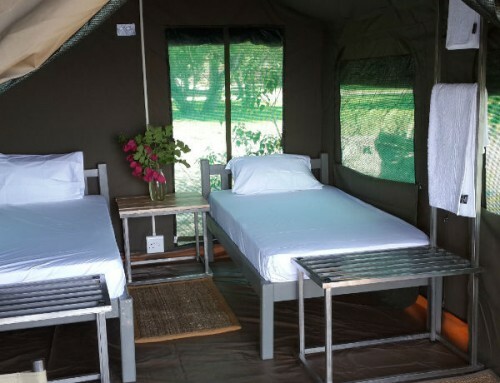 It is advisable to overnight at the Greenfire Lodge Johannesburg if you have not already made alternative arrangements. 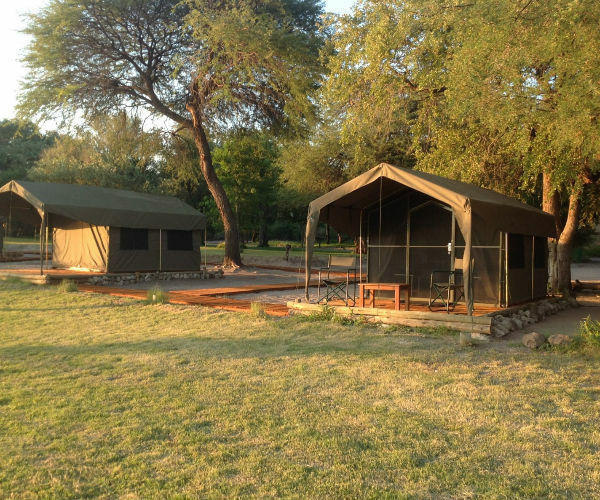 Accommodation at the Greenfire Lodge Johannesburg can be arranged through Drifters or your travel representative. The Greenfire Lodge Johannesburg is located in the Northern suburbs of Johannesburg – a safe residential area. The Greenfire Lodge Johannesburg has a lovely swimming pool, restaurant, bar & shop. The Lodge is within walking distance of various shopping centres and banks. 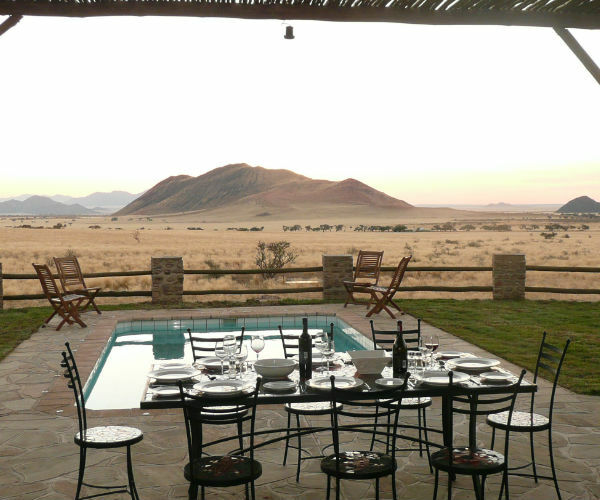 The Drifters Office is located on the same premises should you have any queries regarding your tour. A sleeping bag, towel and pillow are required for this tour. Seasonal malaria precautions are advised and are locally obtainable. During winter the temperature can drop very low at night, clients should be prepared for this. A valid passport is required by everyone. The tour will visit South Africa, Botswana, Zimbabwe, Zambia and Mozambique. It is the client’s responsibility to insure they have the appropriate visas required for this trip to all the countries we visit. Some nationalities might need to obtain visas before departure as they cannot be obtained at the border. 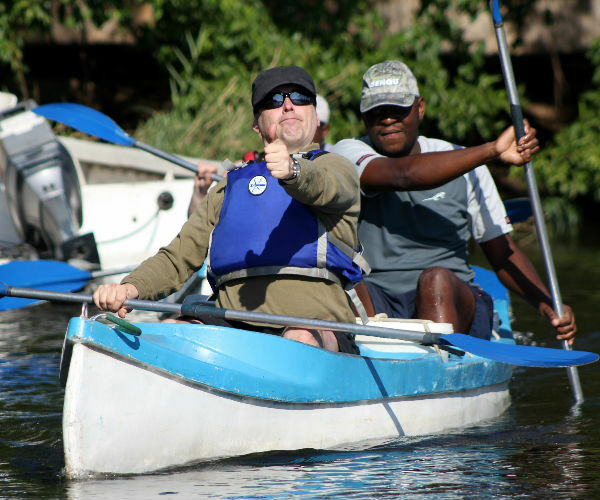 Our price includes transport, food, (no food kitty), coffee, tea, fruit juice at breakfast, a professional guide, group equipment, accommodation, permits, canoe trip, park entry fees and Vic Falls entry. The price does not include alcohol, bottled water and soft drinks, tips, curios and optional extras. Before departure, clients will be required to enter into an agreement pertaining to our booking conditions and general information. Clients are required to have their own comprehensive personal travel insurance. Your 24 Day Southern Circle tour departs from the Greenfire Lodge Johannesburg, 25 Alida Street, Northcliff at 06h30 on the first tour day (Sunday) and ends back on the last day (Thursday) at around 17h00 till late. Guests not staying at the Greenfire Lodge Johannesburg must arrive at the Lodge at 06h00. The telephone number is +27(0)11 888 1160. All our tours require participation from all group members. This entails assisting with the food preparation, washing of dishes, keeping the truck clean and the setting up the camp. We are travelling in developing countries therefore please do not expect the punctuality you have come to expect in first world countries. Things do not always run according to plan, however we do endeavour to run according to the itinerary as best as possible. Choose any two of the following for only US$ 305.00 and get a cruise almost free.